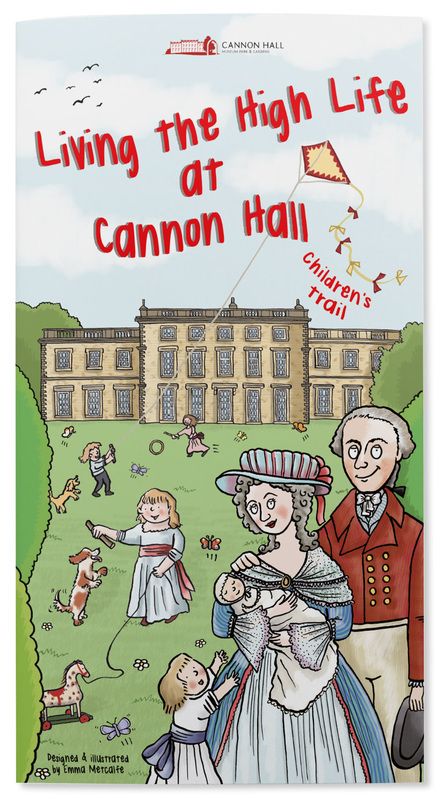 Children's illustrator and trail designer Emma Metcalfe was commissioned to devise and illustrate a bespoke children's trail for Cannon Hall, a Georgian house set in parkland near Barnsley, Yorkshire. The ground floor rooms are furnished as they would have been in Georgian times but the first floor rooms are now galleries housing an impressive collection of paintings and ceramics. The Georgian rooms are beautifully furnished but can feel a bit austere. Emma's cutaway illustration of the hall aims to bring the rooms to life by showing people eating drinking tea and playing music as they would have done in Georgian times. ​The 'I spy' style trail aims to encourage children to spend more time in each room, spotting people and animals hidden in the paintings or on the furnishings there, then ticking each one off. 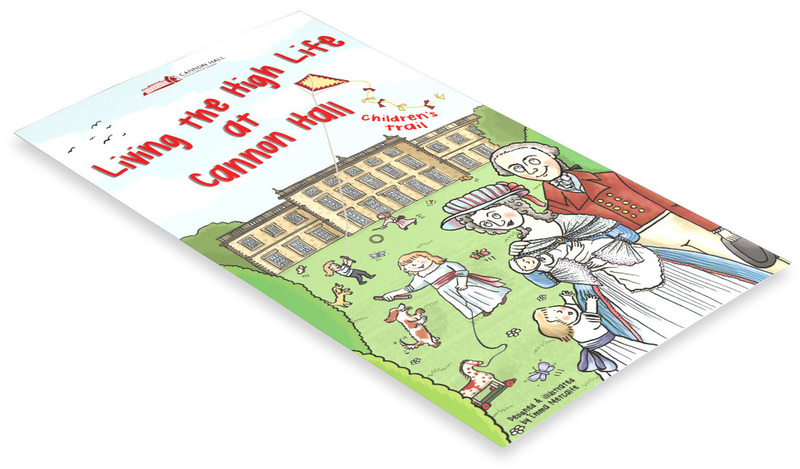 ​​Living the High Life at Cannon Hall takes the form of a tall, slim leaflet which opens out to reveal an introductory double page spread about the history of the house, its inhabitants and a timeline of local industrial history. ​This then opens us as a gatefold to reveal the large house cutaway (which can be used as a souvenir poster). 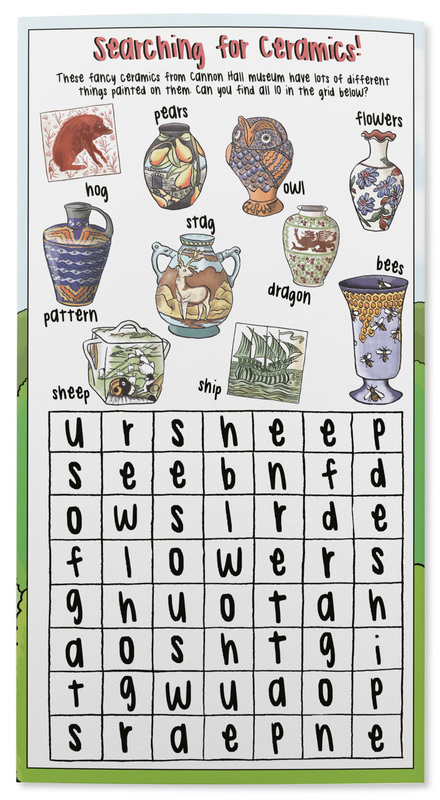 On the back cover is a ceramics-themed word search. 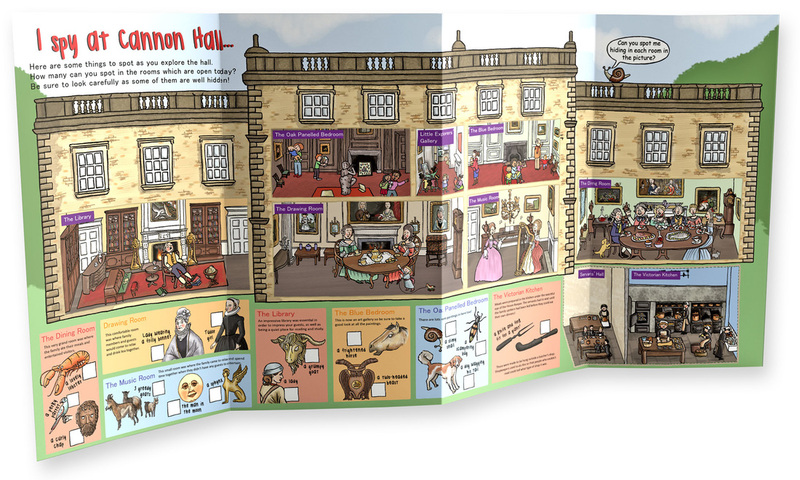 Emma also supplied an amended large format version of the Cannon Hall cutaway view artwork for use as a large format magnetic interactive activity within the museum.